A Storm Seen From Two Sides | Peter M. Schloss | J.D. - Mediator. 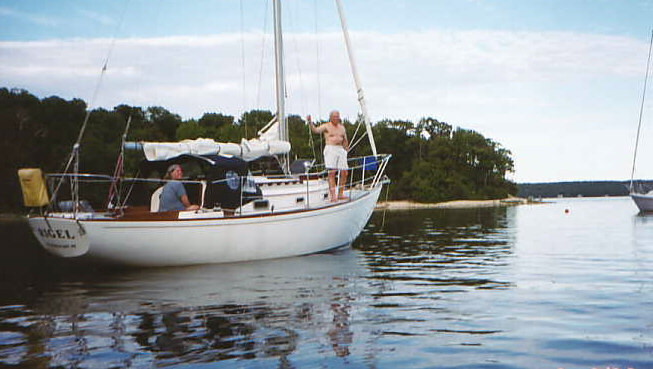 Years ago, during a Lake Michigan sailing passage from the Upper Peninsula of Michigan to Washington Island Wisconsin, Christine and I encountered a sudden gale force storm. What had started for the two of us as an idyllic 8-hour sail quickly deteriorated into a terrifying cacophony of wind, waives, and lightning. The anchor broke free of its mount on the bow and threatened to hole the side of the hull. I slid along the deck going forward with line in my teeth while Christine struggled against the tiller. The bow alternately rose and fell against the crashing waves… one moment I was 8 feet above the water, the next submerged. I succeeded in securing the anchor and reversed my crawl to the cockpit aft. Shaken by the experience I asked Christine if she had identification zipped in her fowl weather jacket. I was serious, and she knew it. On our marine radio we monitored a Coast Guard rescue of a vessel that had foundered within a couple of miles of us. We had been towing our dingy, but the wind and waves had capsized the 9-foot rowboat… I had to cut it loose. Eventually we were in sight of the harbor entrance, protected waters and land. On shore but still shaken, my wife and I proceeded to the marina restaurant and saw in the distance a rainbow which appropriately marked the end of our terror. We noted that the other patrons spoke of the storm as a “pleasant distraction”. I will ever remember the contrast between the “distraction” for those ashore and the struggle for us on the water. This stands as a metaphor that there are those among us who live the same day but are instead burdened by vastly different experiences… days filled with hunger, poverty, and desperation. The rainbow never appears on their side of the storm. One of the best descriptions of the age old adage, “Be kind, you never know what another person has been through”. I’ve seen those waves first hand and know your fear but you’re a braver man than I at the front of that boat. Glad you came through the other side. You never cease to amaze me, Pete. Thanks for such deep thought provocation!